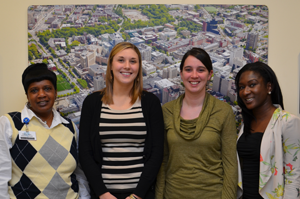 Your first appointment will be with team members from BWH’s Division of Thoracic Surgery. This will be a busy day, so we recommend that you keep the day completely free, with no other appointments or commitments. In addition, because this is a surgical practice, emergencies can arise that may require the surgeon to leave the office temporarily and delay or interrupt your appointment. You will arrive at the Thoracic Surgery Ambulatory Center. 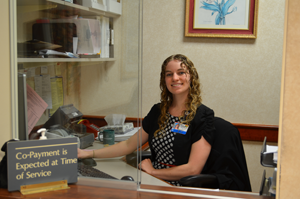 The front desk staff there will ask for identification, insurance cards, any co-payment necessary, insurance referral, your completed forms, and the disk(s) that contains your radiology images. They may give you some additional forms to review while you register in the clinic. You will be interviewed by a physician assistant, who will review with you your medical record. We encourage you to have a family member with you, so we can obtain the most accurate information possible. All this information will be presented to your surgeon for review. Then, your surgeon will discuss your condition with you. Again, we recommend that you bring a family member with you to this meeting. If the surgeon believes you are eligible, you may be asked to consider participating in one of our clinical research studies. If you are having surgery, the surgeon will discuss the type of surgery you will have, its risks and benefits, and the recovery process. Once surgery has been agreed on, you will meet with a surgical coordinator to schedule your surgery and pre-operative testing. The surgical coordinator will talk with you and also give you detailed written information about your surgery and pre-operative testing appointment. If surgery is not an option at this time, you may be referred to your local oncologist. If you don’t have an oncologist, we can work with your primary care physician to identify and engage a local oncologist who is knowledgeable about the current treatment options for mesothelioma. Our IMP clinical team has established a national network of oncologists with whom we have worked over the years. Alternatively, we may refer you to the Thoracic Oncology Program located at the Dana-Farber Cancer Institute. We will give you some information about their program, contact information for their New Patient Coordinator, and will set up your initial appointment.